Gov. Gavin Newsom announced the appointment Thursday of a San Diego County resident to the state’s Fish and Game Commission. 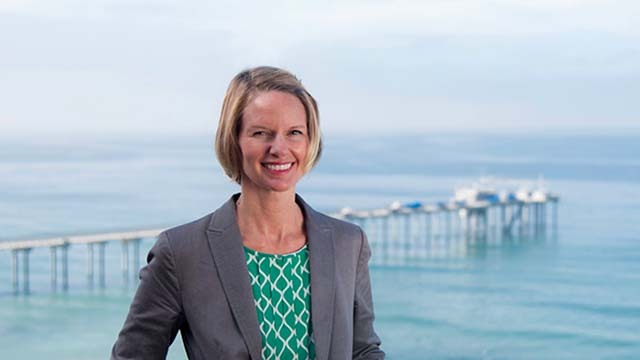 Del Mar resident Samantha Murray, 42, has been executive director of the Master of Advanced Studies Program in Marine Biodiversity & Conservation at the Scripps Institution of Oceanography since 2017. She also runs her own consulting business. Prior to joining Scripps, Murray was the director of the water program at the Oregon Environmental Council in 2015 and 2016. She has also worked with the Ocean Conservancy, the Golden Gate Audubon Society, the Audubon Society of Portland and the Columbia Inter-Tribal Fish Commission. San Diego lawmakers Sen. Toni Atkins and Assemblyman Todd Gloria offered their praise. Congrats to Samantha Murray from #DelMar on her appointment by @GavinNewsom to California’s Fish and Wildlife Commission! The registered Democrat’s appointment to the $100-per-diem post requires Senate confirmation.